A lot of people use the dryer for their weekly laundry which makes washing and drying less strenuous. This appliance is built to last for a number of years if properly maintained. However, a lot of people just use it without proper maintenance. Some take out time to clean their refrigerators and watch out for any warning sign but care less about the dryer maybe because it is not one of the most frequently used home appliances. The neglect is one of the major reasons dryer breaks down quickly and does not function effectively. On the other hand, some people do not even know when their dryer need to be serviced. They keep using it till it finally stops working and then it is discarded and a new on is purchased. It is not supposed to be so. 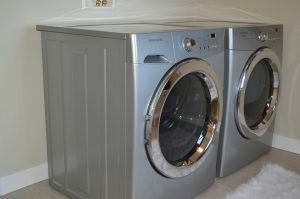 The dryer is supposed to be serviced from time to time by professionals like those from phoenix dryer repair. We are also aware that some people are not conversant with the warning signs that their dryer might be in need of repair. We will be discussing some of the common signs below. Whenever you notice that your dryer is taking a longer time to dry your stuff, it is a warning sign which if neglected might result to a serious damage. Some people neglect this sign attributing it to the fact that the dryer is deteriorating and therefore it is natural. No! it is not. It is a sign that you need to repair it. 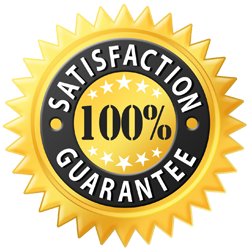 You can contact our company, phoenix dryer repair to come and service or repair your dryer professionally. 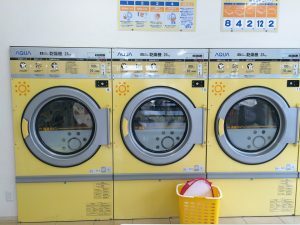 Dryers normally could be noisy but it is important to pay attention to the noise to be able to detect any abnormal sound. Excessive noise might be an indicator that some parts are loose or that the drums are out of alignment. Please do not neglect this sound if you want to enjoy your dryer for a longer period. Feel free to contact us at phoenix dryer repair to come and handle it professionally for you. If your dryer becomes excessively hot while running, it is a warning sign and should not be neglected. It is better you stop the usage and contact phoenix dryer repair for professional help. If you keep using it, your dryer might catch fire and will be totally damaged. It might also damage other appliances. It is not advisable to try replacing your dryer motor when spoilt. Sometimes the motor could stop working due to overuse and if left for some time might pick up again. It is the work of a professional to look into your motor to avoid further damages. In case you are finding it difficult to locate a good professional, you can contact phoenix dryer repair as they are fast and reliable in delivering their services. The water pump Helps in the circulation and drainage of water in the dryer. It is possible for this to develop fault. It could start dripping water making the whole place messy. Sometimes it could have blockage and might not circulate water efficiently. Whatever the case might be, it is necessary that you contact our factory team, phoenix dryer repair to help you put your dryer back in place. Finally, it is important you know the common warning signs that your dryer needs repair to help you make effective use of your appliance. You can contact our team at phoenix dryer repair to find out more about the warning signs or if you are in need or a professional to work on your dryer. We have expert technicians that are specialise in the repair of dryers. They can come to your aid at your convenience and give you an excellent service! Do not neglect any of the signs discussed above. It is also important you service your dryer from time to time.